Does Uterine Fiboird Embolization Affect Your Ability to Have a Baby? Home » Does Fibroid Embolization Affect Your Ability to Have a Baby? 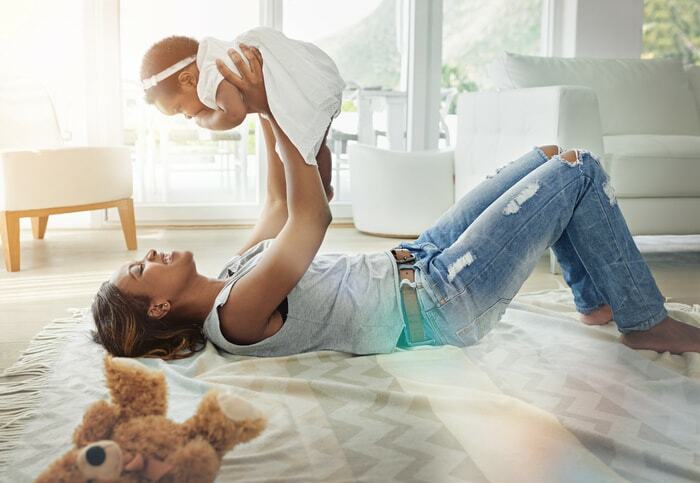 A recent U.S. study, along with patient experiences around the world, support that Uterine Fibroid Embolization (UFE) is a safe and appropriate treatment for women of childbearing age. Additionally, UFE can have distinct advantages over fibroid surgeries, such as a myomectomy, for fibroid patients who wish to get pregnant. “Uterine Fibroid Embolization isn’t for women who want babies” – Fact or Fiction? Early research on UFE, (research now nearly 20 years old), suggested it diminished the ovarian reserve. Ovarian reserve is a medical term for how many good quality eggs you have to make babies. But the average age of women in the study groups was 45. An age when ovarian reserve is already naturally declining. Fertility is already problematic. The assumption that UFE negatively impacts fertility was based on data from women whose fertility was already negatively affected, due to their age. The findings were fiction. Patient experience and recent medical information are confirming this. As more and more women discovered UFE as a non-surgical treatment option, more and more women chose it. Many went on to have successful pregnancies and many who experienced fibroid-related fertility issues, conceived. Many, of an age to have a suitable ovarian reserve, had babies. It was time for a re-think about UFE and fertility. It was time for a new study. Minimally Invasive Therapy and Technology, a medical journal known for articles on cutting edge, non-surgical advances, published a study by Dr. Bruce McLucas, that investigated the ovarian reserves in fibroid patients after embolization. The study tracked and tested a group of 89 women, between the ages of 23 and 40, for four years after their UFE procedures. The resulting data indicated UFE did not diminish ovarian reserve. UFE did not impair fertility. In fact, 32 of the 89 patients actually had a rise in ovarian reserve, post-procedure. Fact #1: The ability for the uterus to function normally for conception, pregnancy, and delivery is not impaired by UFE. Fact #2: Fertility in women of normal childbearing age is preserved and even enhanced by UFE when infertility issues are being caused by fibroids. Fact #3: Ovarian reserve levels, which naturally decline as a woman ages, are not further diminished by UFE. Myomectomy, a common surgery to remove fibroids from the uterus, has roughly a six-month window of opportunity for pregnancy. Fibroids tend to grow back after myomectomy. 50% of all myomectomy patients will experience fibroid recurrence within a year. Which means the time to try for a child after a myomectomy can be short. Uterine Fibroid Embolization has 0% incidence of fibroid regrowth. The possibility for pregnancy after UFE is only bound by the normal decline of ovarian reserves as you age. Read about the landmark UFE & Fertility study here. Testimonials about pregnancy after UFE here and here and here. Is UFE is right for you?